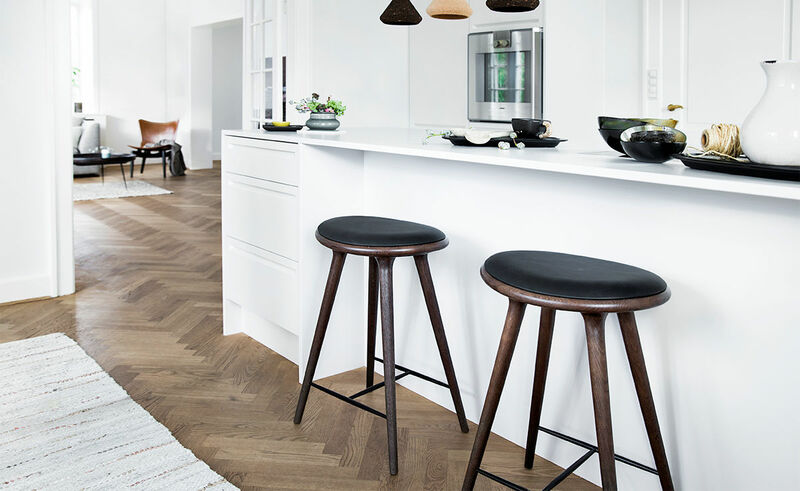 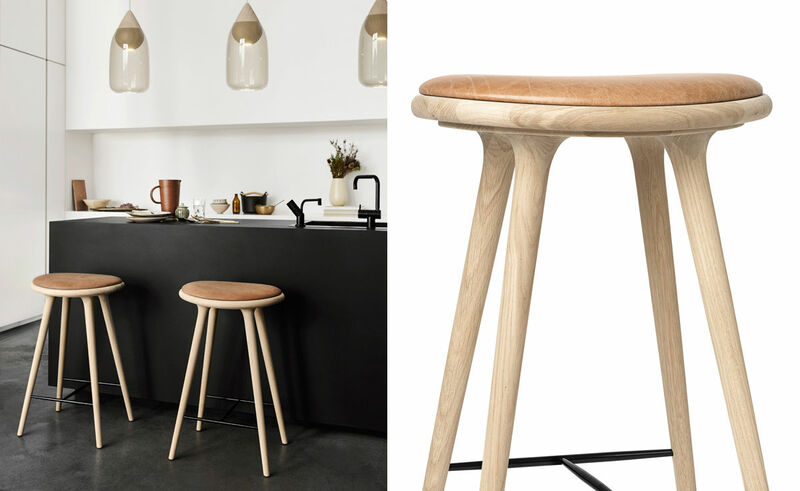 The Mater High Stool is designed by the Danish architect duo Space Copenhagen (Signe Bindslev Henriksen & Peter Bundgaard Rützou) and regarded as a "New Danish Classic". 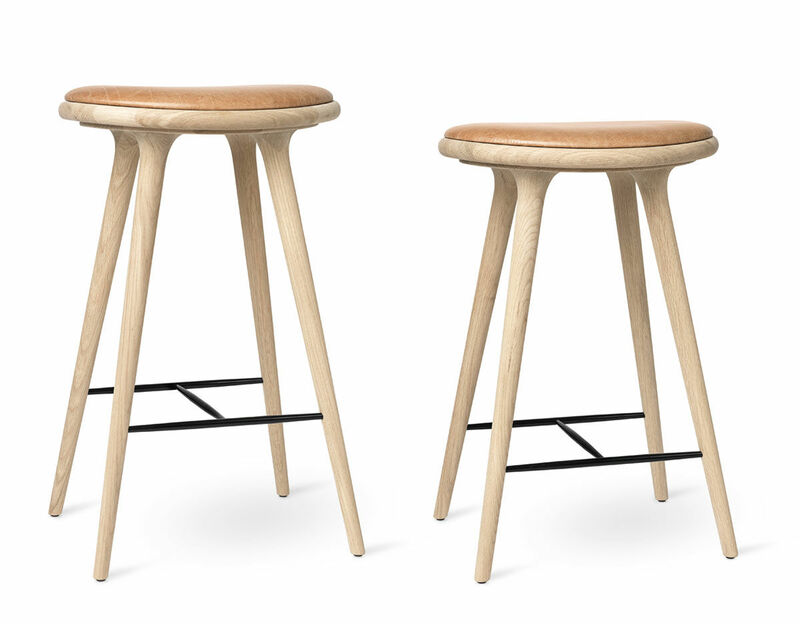 It is a stool that can be used in multiple settings and for everyday use. 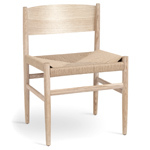 It is crafted in various materials with sustainable and socially responsible methods. 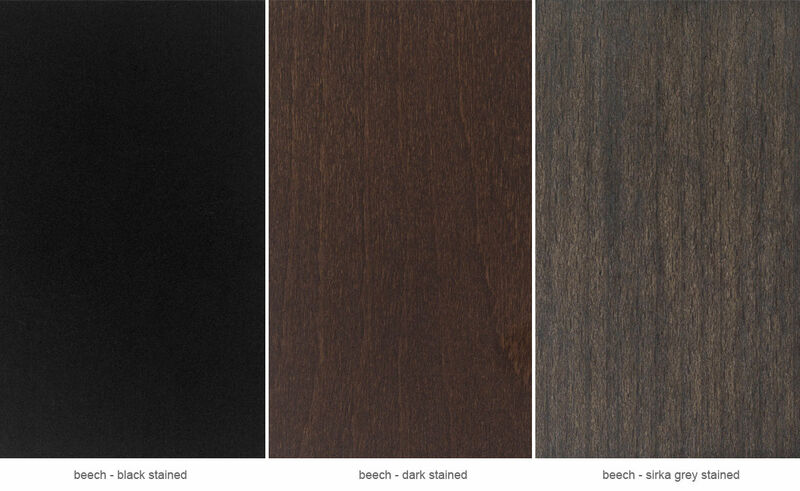 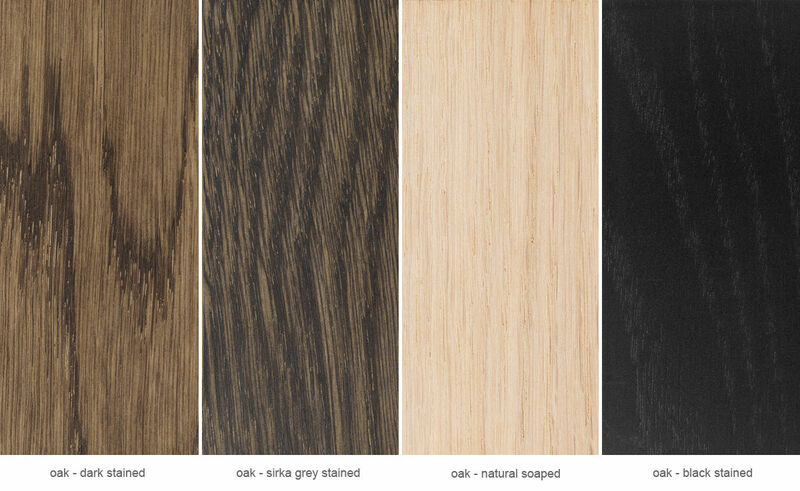 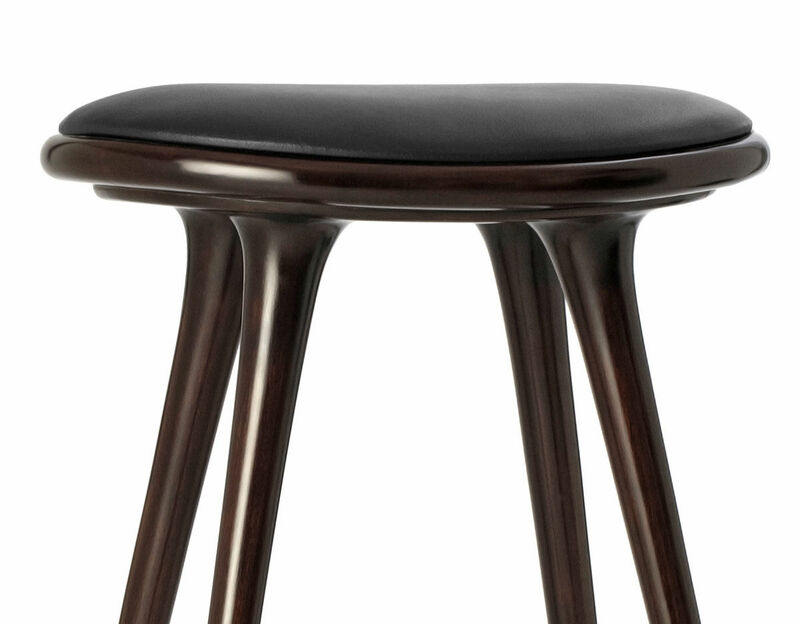 The wood is FSC certified (the label for responsible forestry) with a water based stain. 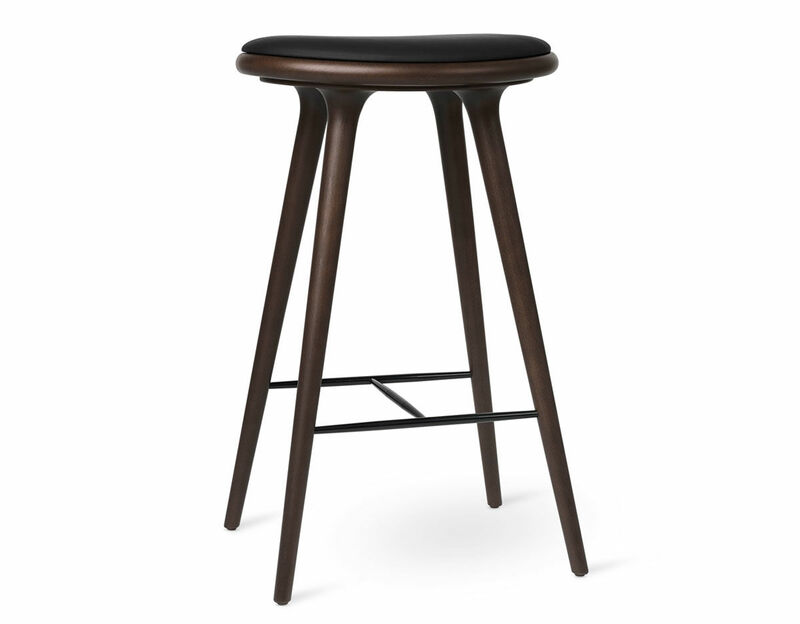 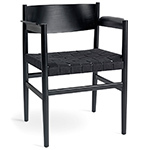 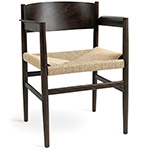 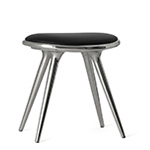 The high stool features a beech or oak wood frame with a black leather seat. 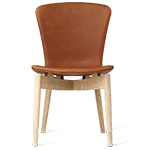 Soaped oak version is offered with a natural colored leather seat. 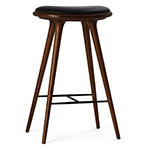 The High Stool is available in both bar and counter height.